Taste is a restaurant that focuses on hot or cold small plates, urging people to share and allowing them to try several different items without committing to a larger plate of any one particularly item. Although it was conveniently located right next door to the hotel, we were neither impressed with the food nor the service. On the evening we went they suggested we order 3-4 plates to share, so we ordered the ancient grain salad, feeb tartare, rabbit tostada and pigs ear. The dishes came out in no particular order, and were presented to us as soon as they were prepared. We started with the ancient grain salad that consisted of carrots, red peppers, and was dressed with a lime and cilantro vinaigrette. The dressing was light and bright, the salad consisted of a mix of textures, however was somewhat awkward to share due to the varying sizes of the components. 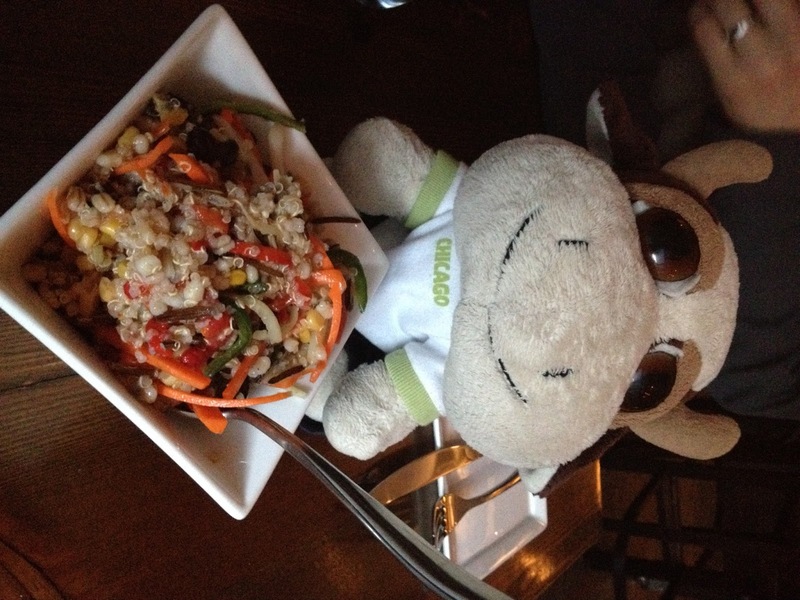 The quinoa was a tad on the bland side and could have benefited from more seasoning, and the carrots and red peppers could have been cut significantly smaller, as it was awkward to get a scoop of the salad with the large vegetables refusing to stay on the small spoon. The feeb tartare arrived next with Dijon mustard, covered in capers and cornichons. 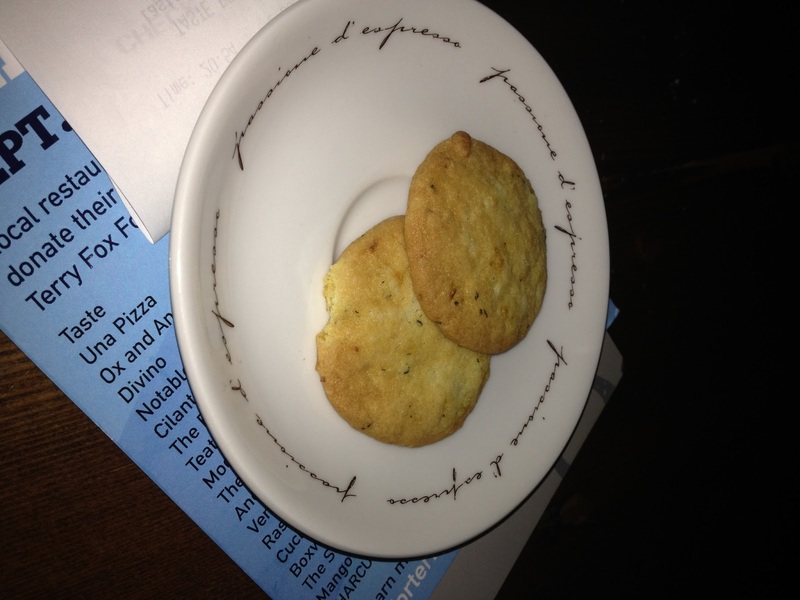 The mixture was topped with a quali’s egg, and accompanied by crostini’s cooked in duck fat. 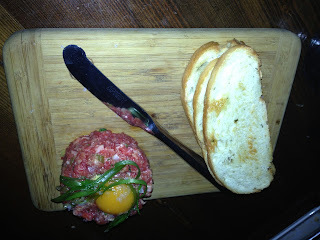 The crostini’s were extremely crispy; the feeb tartare had a slight acidity to it, and also has a kick of pepper. Unfortunately the egg was tiny and the hums were left wishing there was more egg yolk to make it creamier. As well, there were far too many capers, making each successive bite more salty and briny tasting, and ultimately, overwhelming what they felt should have been the focus of the dish, the feeb. 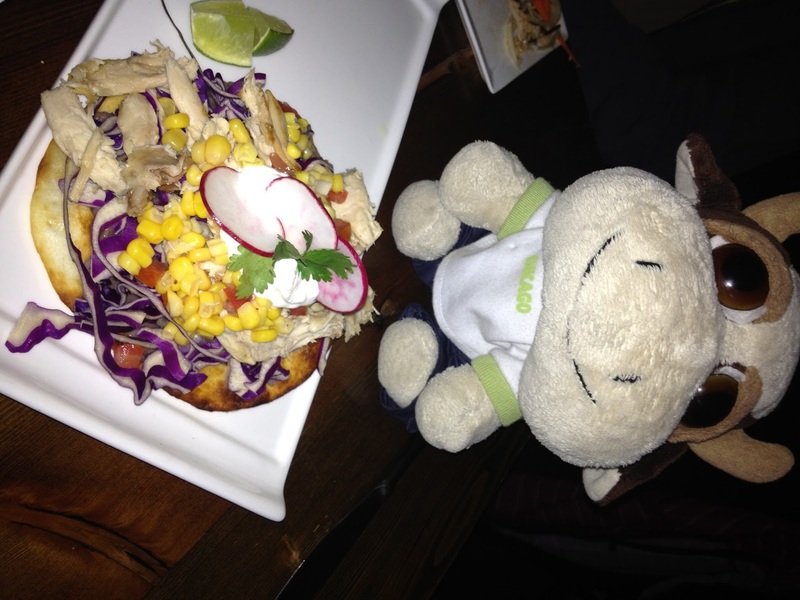 We were perplexed to find the rabbit tostada was one giant tostada. In order to share it, we had to cut through it and hope it didn’t fall apart. Unfortunately that was exactly what happened, making it impossible to get all the components of the dish from the black beans, cabbage, salsa and rabbit in a singular bite. The rabbit itself was very very dry, bland on it’s own, and had hard, inedible bits in it. I wouldn’t have considered this a hot appetizer, as it was served to us fairly cold. 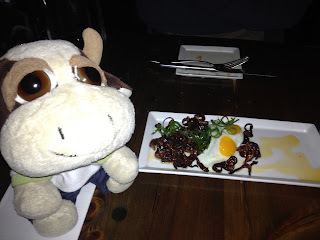 Lastly the pigs ear with chilli oil and a fried quail egg were completely inedible. The pigs ear was very hard to chew through, and I could barely tear it apart with my hooves after trying to twist, tug and pull it apart. When we asked the server to take the dish away almost completely uneaten, he inquired as to why it had remained largely untouched. We informed him it was practically inedible, and he countered that it was supposed to be chewy as it was cartilage. Regardless of what the texture should or should not be, no food should be so difficult to chew through that it hurts our teeth and jaw just to eat a singular piece. Overall, there was no stand out dish that night, as we all found them to be disappointing in one way or another. We left feeling hungry, and knew that it was definiely not a place we would bother returning to considering the portion sizes and the poor execution.